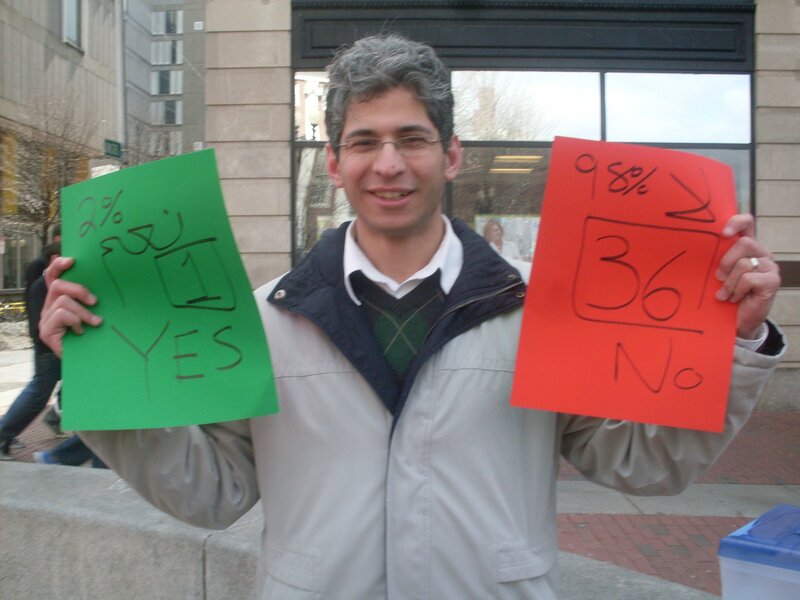 In a symbolic vote, close to 50 Egyptians gathered in Harvard Square to take part in the Egyptian Referendum on the Amended Constitution. The final result was 36 No (97%) and 1 Yes (3%). The event is likely to appear tomorrow in the Boston Globe.